Three of the 56 newly elected fellows of the Association for Computer Machinery (ACM) are faculty members of Rochester’s Hajim School of Engineering and Applied Sciences, and another Hajim School faculty member has been elected a fellow of Institute of Electrical and Electronics Engineers (IEEE). Dwarkadas is the Albert Arendt Hopeman Professor and chair of computer science; Luo is a professor of computer science. Mujdat Cetin, the newly elected fellow of IEEE, is an associate professor of electrical and computer engineering. 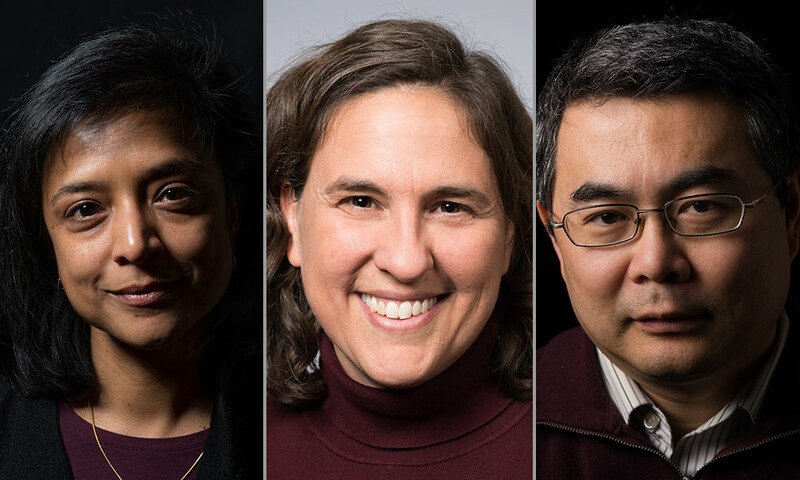 ACM, a society of educators, researchers, and professionals in the computing field, chooses less than one percent of its global membership to be fellows. They are chosen based on “exceptional contributions” in such areas as computer architecture, mobile networks, robotics, and systems security. Heinzelman’s citation is for “contributions to wireless communication systems and protocols, and leadership in broadening participation in computing.” Her research centers on transforming users’ experiences with mobile ad hoc and wireless sensor networks through design of advanced protocols and architectures. Applications include communications tools for soldiers in the field, enabling conservation through the observation of remote areas, and mobile devices that support personalized health monitoring and learning about family dynamics and healthy interpersonal communication. She co-founded Networking Networking Women (N2 Women), an international organization that fosters connections among the under-represented women in computer networking and related research fields. Mujdat Cetin, associate professor of electrical and computer engineering. Dwarkadas is being recognized for her “contributions to shared memory and reconfigurability.” Her research lies at the intersection of computer hardware and software with a particular focus on support for parallelism. She has made fundamental contributions to the design and implementation of shared memory both in hardware and software, and to hardware and software energy- and resource-aware configurability. Luo is being recognized for “contributions to multimedia content analysis and social multimedia informatics.” Luo’s research spans image processing, computer vision, machine learning, data mining, social media, biomedical informatics, and ubiquitous computing. He has done pioneering work in contextual inference in semantic understanding of visual data, and social multimedia data mining. He has published extensively in these fields with nearly 400 peer-reviewed technical papers and over 90 US patents. His research group, for example, analyzed candidates’ Twitter followers to provide insights into the 2016 presidential election. Jiebo has also forged several collaborations with Medical Center researchers, including a new initiative to develop digital tools to better understand and treat Parkinson’s disease. IEEE is a professional organization for the advancement of technology. Less than 0.1% of voting members are selected annually as fellows in recognition of extraordinary accomplishments in any of the IEEE fields of interest. Cetin’s IEEE citation is for “contributions to image processing for synthetic aperture radar and sensor array.” Cetin’s research interests are within the broad area of data, signal, and imaging sciences with cross-disciplinary links to several other areas in electrical engineering, computer science, and neuroscience. 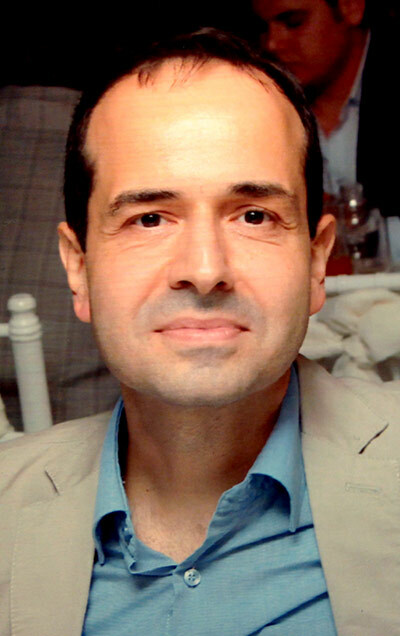 His research group has made several advances in three key areas: computational sensing and imaging as applied to radar and biomedical imaging; probabilistic methods for image and video analysis as applied to biomedical image analysis, microscopic neuroimaging, and computer vision; and signal processing and machine learning for brain-computer/machine interfaces, with applications for alternative communication and rehabilitation for patients, and monitoring of cognitive states.